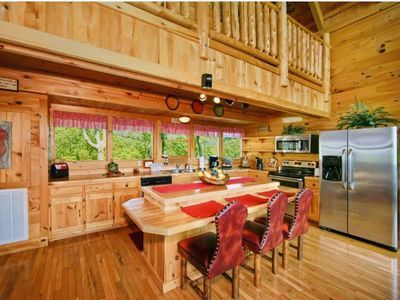 This beautiful two-bedroom cabin is fully furnished with all the comforts of home and has a great mountain view. 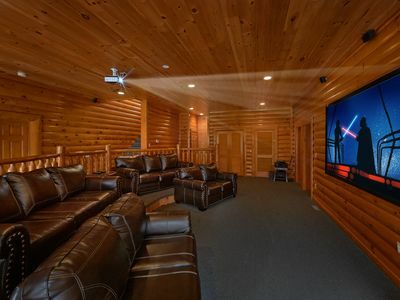 It features 2 king beds, electric fireplace, charcoal grill, and 4 satellite TVs and 2 DVD/VCR combos. 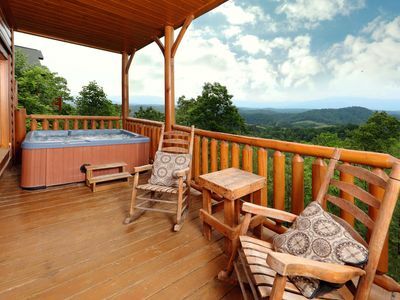 Enjoy the view from the double decks or soak in the hot tub. 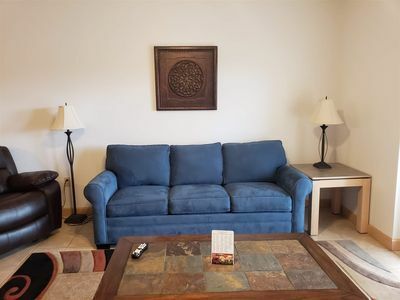 Play a game of pool or enjoy the two master suites. 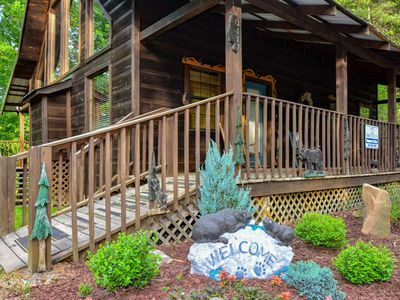 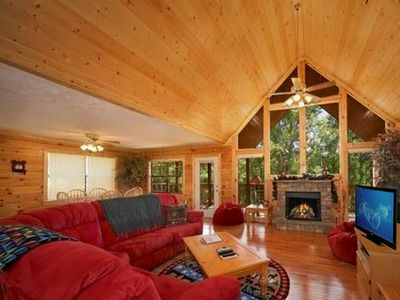 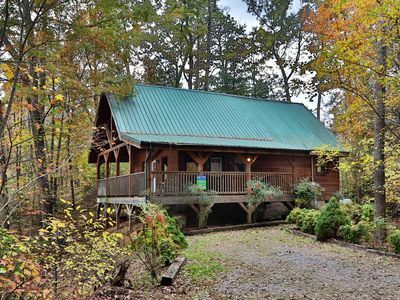 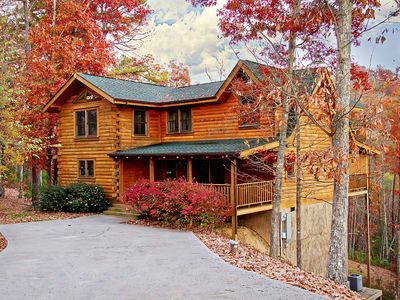 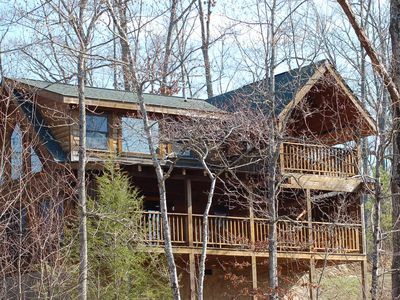 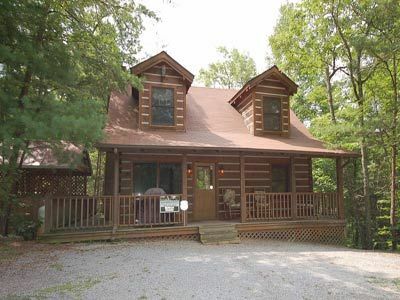 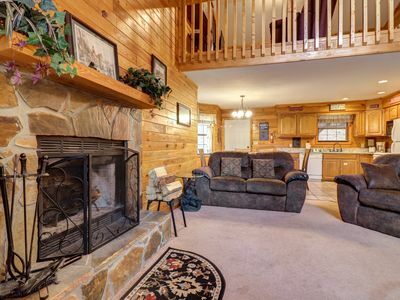 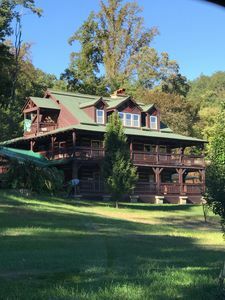 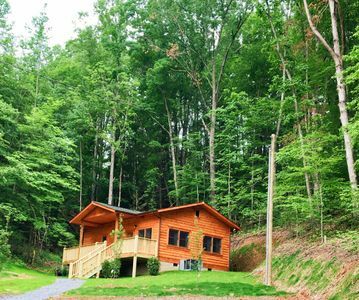 This cabin features wireless internet access and is pet friendly. 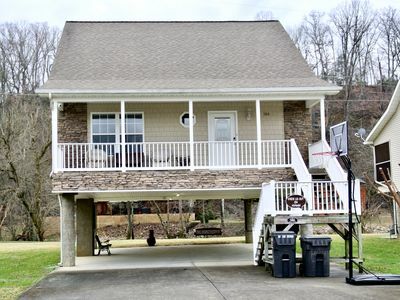 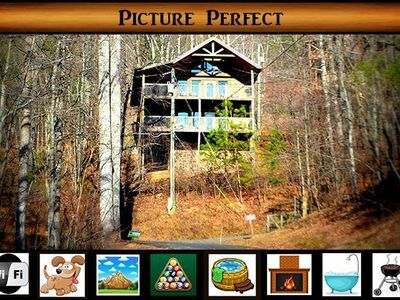 Picture Perfect sleeps 8 people and is ideal for a family getaway. 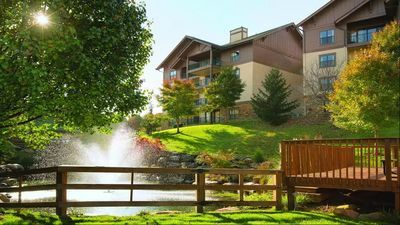 Even if the pet fee does not show up in the quote or reservation, if you bring a pet, you will be charged $50 plus tax pet fee. 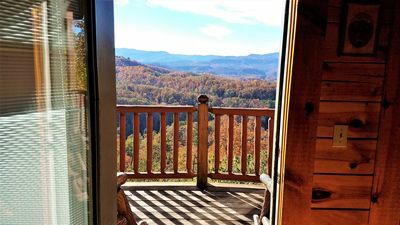 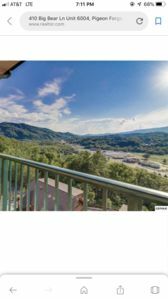 Private w/ Mountain Views! 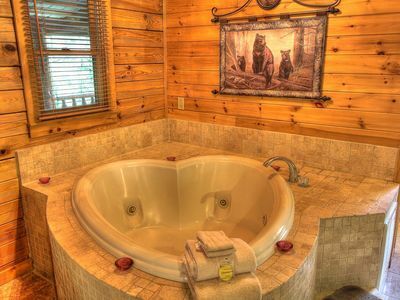 Pool Table, Hot Tub, Arcade Game, Pool Access, Free Putt Putt & Fishing! 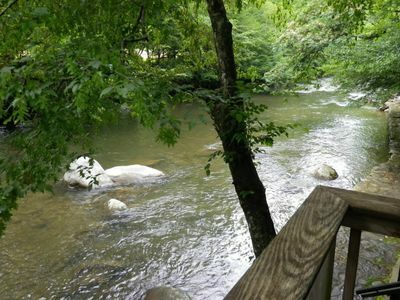 Located on a mountain stream, in a pristine setting with a charming atmosphere. 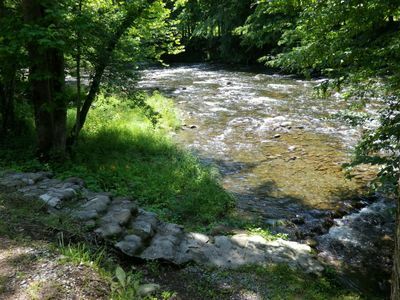 Commune With Nature: Hike around Seveirville!